In the urban world "WS" is an acronym for West Side. Here on Create-A-Voice it represents Web Series. Showcasing indie producers and directors with video docs of watchful awareness and/or simple watchable entertainment. Relevant blog-ver-sa-tion; the family can Watch, Listen and Read. Reflections with Usama Canon in "Innovation and Creativity"
REFLECTIONS with Usama Canon :: "Innovation & Creativity" from Ta'leef Collective on Vimeo. 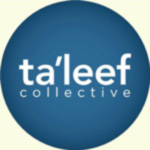 Ta'leef Collective presents a new video series titled "REFLECTIONS." These videos are short vignettes featuring people from the Ta'leef community on topics that range from religion, culture, lifestyle, knowledge, arts, sciences, community, family, etc. In this discourse (Innovation & Creativity), Usama Canon talks about the need for creative voices in the Muslim community. He contends that Islam did not come to eradicate people's creativity and passion, rather that it came to nurture it and when put in the right context with the right framework and understanding, that creativity can be something that draws people near to the Divine.